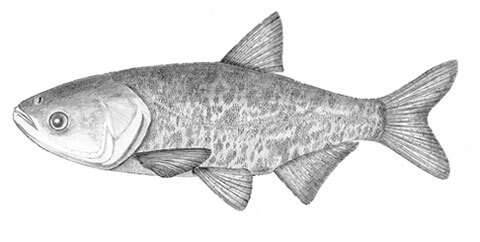 A bighead carp/United States Geological Survey. Public Domain. Samples from the Kenosha Harbor were part of a recent study that showed no environmental DNA evidence of Asian carp has been found in Wisconsin’s Lake Michigan tributaries or harbors. The results were announced this week by the Wisconsin Department of Natural Resources and the U.S. Fish and Wildlife Service. “National Get Outdoors Day” will be celebrated in Kenosha with a variety of activities in Washington Park from 9 a.m. to 3 p.m., on Saturday, June 9. The Boys and Girls Club will provide free golf instruction at 9 a.m. at the Municipal golf course clubhouse, and a baseball clinic from 9 am to 11 a.m. at the corner of 41st Street and 22nd Avenue. They also will organize games including yard toss, four square, and more. 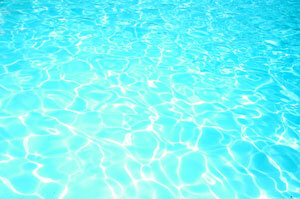 Washington Park pool opens for the season at 12 noon. It will be open from 12 noon until 5:45 p.m., on Saturday and Sunday. The Anderson Park pool is closed this season for repairs. A bike rodeo, including a bicycle obstacle course, will be provided by the Kenosha Police Department, along with a bicycle safety check and repair clinic. 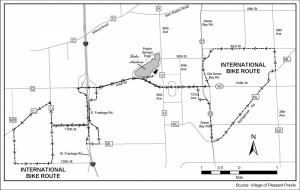 The K & R club will lead a 3- to 5-mile bike ride, and the Kenosha Velodrome Racing Association will sponsor stock bike races. Free bicycle helmets will be distributed while they last, provided by Habush Habush and Rottier. Are you a boater or jet-skier? Would you like to be? The Coast Guard Auxiliary is hosting “America Boats Safely” (ABS) to help you make your boating experience safe as well as fun. Topics include: Nautical Terminology, Legal Requirements, Boating Emergencies, Towing, Basic Navigation, Safety Equipment, and much more. If you were born after December 31, 1988, this course meets your DNR requirements for licensing. ABS is offered over three consecutive Thursday evenings from 6:00 pm to 8:45 pm, beginning on Feb. 9 at Gander Mountain (6802 – 118th Avenue, Kenosha). Cost is $30 for the first family member, and $20 for each additional family member. To sign up or for questions, contact Tim Caufield at (262) 492-6497. Santa and his helpers will be available from 10 a.m. to 1 p.m. for dogs and their humans to have their pictures taken at two of the county’s three dog parks. Santa will be at the Warren Close Park Bark Park, 35610 89th St, Twin Lakes, and at the Carlisle Family Dog Park, 4700 Hwy JR, Kenosha. Bring your own camera. A $5 donation is requested. The money raised will go toward maintaining and improving the off-leash dog parks. The event is being sponsored by the Friends of the Kenosha County Dog Parks and Kenosha County Parks. For more information, call (262) 857-1869 or visit http://dogparks.kenoshacounty.org. The inaugural Grill Games Competition & Festival hosted by the Kenosha Area Chamber of Commerce Foundation, along with many area sponsors, will sizzle on Saturday, Aug. 27, 2011, from 10 a.m. to 10 p.m. Grill Games is an all-day event including a Kansas City Barbeque Society sanctioned competition, music festival, family fun area, and numerous food vendors. 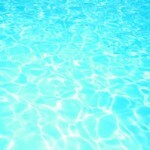 Anderson Park Pool: Sunday, Aug. 14 at 5:45 p.m.
Washington Park Pool: Sunday, Aug. 21 at 5:45 p.m. 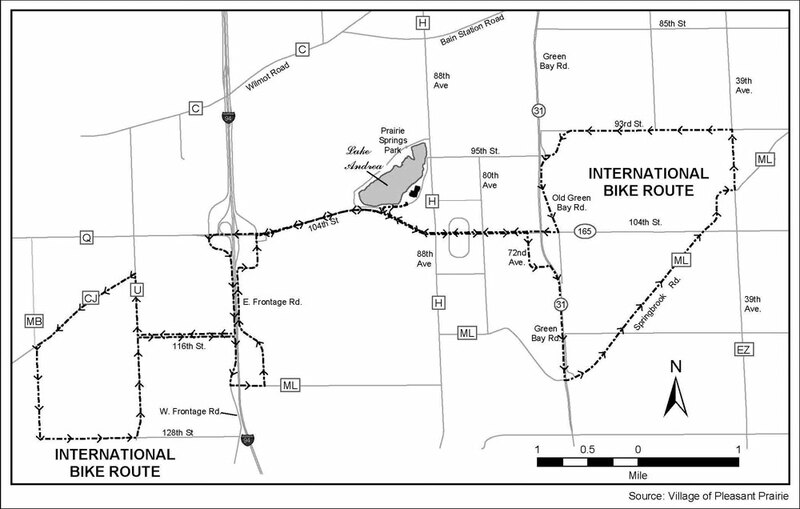 The Pleasant Prairie Triathlon will draw many visitors to the area during the weekend of June 25 and 26. The Pleasant Prairie Junior Triathlon will be held inside Prairie Springs Park on Saturday, June 25, with check-in beginning at 7 a.m. Nearly 300 youth athletes are expected to participate. The Pleasant Prairie Triathlon will be held on Sunday, June 26 beginning at 6:30 a.m. More than 1,200 adult athletes are expected to compete. With additional numbers of spectators and volunteers, officials anticipate up to 3,200 visitors over both days. RecPlex and Prairie Springs Park will host the event. At Wednesday’s Board of Park Commissioners meeting, Blake Theisen, a park planner with the SAA Design Group, gave a presentation on the Comprehensive Outdoor Recreation Plan (CORP). He has been evaluating all of the city’s parks for the past year. Strawberry Park, Petzke Park, Sunrise Park, and Simmon’s Island are four of the parks that are included in the Capital Improvement Plan (CIP) for the next ten years. Three hundred and fifty Kenosha residents completed an on-line survey stating that they wanted more bike/pet connections throughout the city and more age-appropriate play equipment. 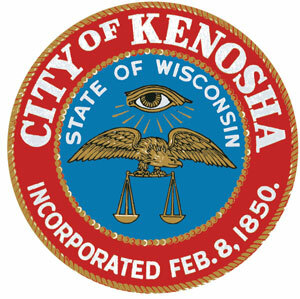 Work has been prioritized for all of Kenosha’s 73 parks. Theisen recommended that certain projects be done only through grant funding. Theisen requested that the Commission take the entire month of June to review the proposal and the CIP. He will be back around the 4th of July from vacation, and he hopes that the City Council will have approved the project by then. 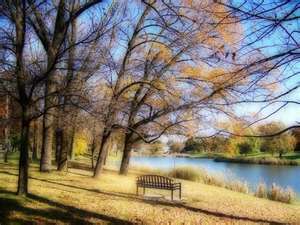 The work on Petzke and Strawberry Creek parks could start as early as this year. Canoeists and kayakers are boaters! Now, there is a course available to address the unique needs of paddlers. A four-hour class is being offered by Kenosha’s Coast Guard Auxiliary on Saturday, May 14 from 9 a.m. to 1 p.m. at Gander Mountain, 6801 120th Ave., Kenosha. Paddle-Sports America is a stimulating safety course designed to attract the novice paddle enthusiasts. This four-hour course presents a myriad of safety information including: know your paddlecraft; before you get underway, transporting your paddlecraft, dressing for a safe trip, loading gear in a canoe or kayak; storing paddle craft, operating your paddlecraft safely, the U. S. Aids to Navigation System (ATONS), learning about local hazards on waterways, legal requirements of boating, Homeland Security restrictions; boating emergencies; minimizing the risk of drowning, handling weather emergencies. So, if you’re looking forward to putting your boat in the water, start preparing today with the Paddle-Sports America Course. Your investment will be $15 per person and $10 per person for each additional family member. Reservations are required and may be made by calling Tim Caufield at 262-492-6479 or emailing him at CaptTim@speeddial.net. Are you angling to get on the water? Are you buying a boat or have you recently purchased one? Do you want to take your family and friends out on the water? Want to be prepared for the unexpected? Were you born after 1 January 1989? If the answer to any of those question is “YES”, you will be well served by taking a safe boating course; and if your under 23 years of age you are required to complete a safety course. To meet this requirement and ensure you have a safe as well as fun time on the water the U.S.C.G. Auxiliary is offering the 9 hour course: About Boating Safely (ABS) on three consecutive Thursday’s beginning May 5 from 6 to 9 p.m. at Gander Mountain, 6801 120th Ave., Kenosha. ABS is an exciting and highly interactive boating safety course. Included in are: Boating Laws, Personal Safety Equipment, Safe Boat Handling, Basic Navigation, Boating Problems, Tailoring and Storing your Boat, and more. Also, if you have a Jet Ski in the family and a young operator (12 years or older) they must have this course to operate even with an adult on board. So, if you’re looking forward to putting your boat in the water in a few weeks, start preparing today with a Boating Safely Course. Your investment will be $30/person and $20/person for each additional family member. Reservations are required and may be made by calling Tim Caufield at 262/ 492-6479 or emailing him at CaptTim@speeddial.net. Do you enjoy water sports? Want to be prepared for the unexpected? Were you born after Jan. 1 1989? Did you know the DNR requires you to complete a boating safety course? To meet this requirement and ensure you have a safe as well as fun time on the water the U.S.C.G. Auxiliary is offering the 9-hour course: About Boating Safely (ABS) on three consecutive Thursday’s — March 24, March 31 and April 7 — from 6 p.m. to 9 p.m. at Gander Mountain, 6801 120th Ave., Kenosha. ABS is a highly interactive boating safety course. Included in are: Boating Laws, Personal Safety Equipment, Safe Boat Handling, Basic Navigation, Boating Problems, Tailoring and Storing your Boat, and more. Also, if you have a Jet Ski in the family and a young operator (12 years or older) they must have this course to operate without an adult on board. So, if you’re looking forward to getting your boat in the water this spring, start preparing today with a Boating Safely Course. Your investment will be $30/person and $20/person for each additional family member. Reservations are required and may be made by calling Tim Caufield at 492-6479 or emailing him at CaptTim@speeddial.net. Are you looking forward to springtime and the start of boating season? Start preparing now! The U.S.C.G Auxiliary is conducting a nine-hour boating safety course from 6 to 9 p.m. on three consecutive Thursdays beginning on Feb. 10. Classes will be held at the Gander Mountain Store, 6801 120th Ave., Kenosha. The course is called About Boating Safely and it’s an exciting and highly interactive boating safety course. Included in ABS is: Introduction to Boating, Boating Laws, Personal Safety Equipment, Safe Boat handling, Navigation, Boating Problems, Tailoring and Storing. The investment is $30/person and $20/person for each additional family member. Completion of ABS satisfies the Wisconsin DNR requirement for boaters aged 12 to 16 who must have a Boater Safety Certificate to operate a PWC without an adult on board.